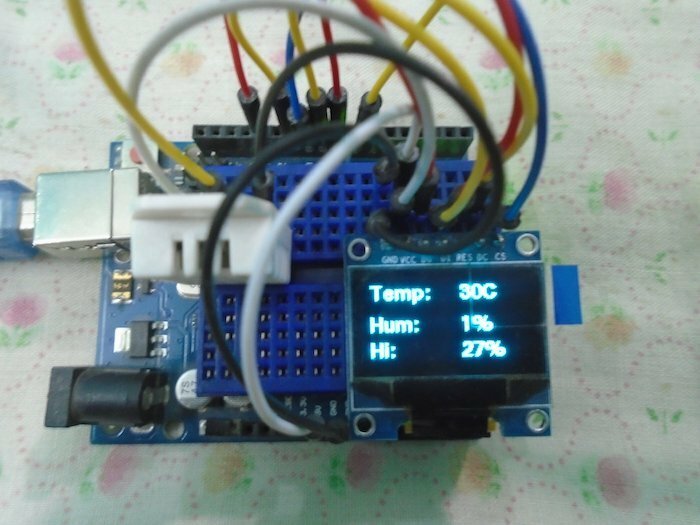 This Arduino thermometer and hygrometer takes temperature and humidity readings and displays the data on an OLED screen. In this project, we are going to make an Arduino OLED thermometer and hygrometer. We will read the temperature and humidity from the DHT22 sensor and then we will show the data on the OLED screen. OLED stands for organic light emitting diode and they are available in many different sizes. The size we are going to use is 128X64 (1.3’’). 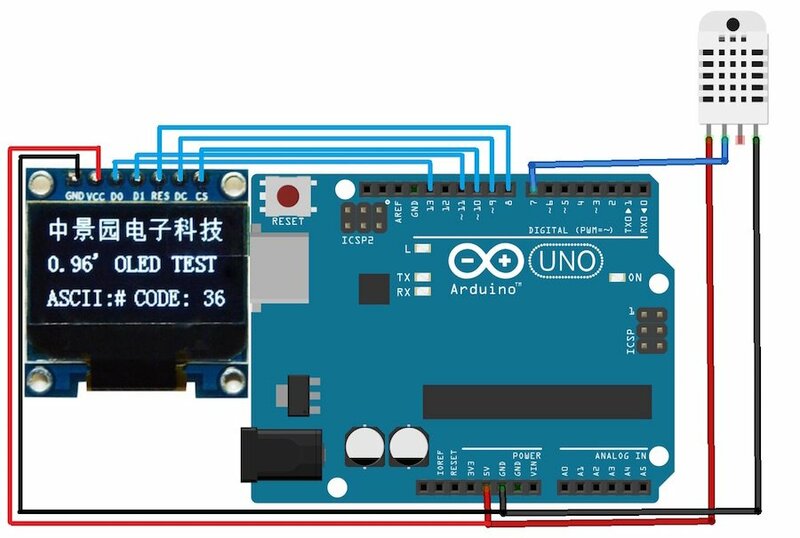 The OLED works with the Arduino through SPI as well as I2C communication but in our project, we are going to use the SPI communication. First, we include the library for the DHT22 sensor and for the OLED. The ‘U8glib’ library is for the OLED and it makes the code very easy. We will show the data on the OLED by using the functions of ‘U8glib’ library. Next, we defined the pin where we have connected the DHT22 sensor data pin and then defined the type of DHT sensor. There are some other types of DHT sensors available in the market. After that, we initialized the pins where we have connected the OLED. In the setup function, we give the command to start receiving the values from the DHT22 sensor. Then we set the font and printed “Welcome to DIYHACKING” on the OLED for 5 seconds. You can change the font size if you don’t like that. You can find different font sizes here. In the loop function, we read the values of the humidity and the temperature from the DHT22 sensor and then we calculated the heat index using the temperature and the humidity. Lastly, we again set the font size and printed the temperature, humidity, and heat index on the OLED. You can change the font size by following the link which is discussed above and also you can set the data at different dimensions.